To keep it brief, former Soho gallerist Jeffrey Thomas returns to the art business with a new gallery model in the form of Jeffrey Thomas Fine Art in NW Portland. (the website is still beta but has plenty of info) So you say that you don't know who Jeffrey is? ...well this link covers a lot of it. First show in 2 weeks. Just check out the site, there is a reason we never interview gallerists on PORT, besides I've been behind the scenes on this. The effort to find a good home for the Lovejoy Columns continues. We've covered this before and it is important to preserve these famous artworks that art part of the Pearl District's once quite gritty past. We can build new things but the grit also gives us a sense of how time has passed and we cant simply just manufacture such history. It is also important as it shows how the Pearl district started out as a an artist's stomping grounds. Portlandia takes on "shock art"... yes it really has come to that point and hopefully we can avoid more doll part art. Cornelia Parker is one of my favorite contemporary artists and this article on her process is definitely worth reading. What I like about her is the way her brand of inquisitive causality parallels scientific inquiry, without aping it. Is the current art market bubble driven by money laundering and tax evasion schemes? The advice to look to museums isn't the safest bet either... but the museums have to have programmatic integrity and with the diminishing of the crucial curatorial role there is a house of cards situation at play here. The solution... collect for personal enlightenment, museums should have programmatic integrity. All of which is easier said than done. Under Pressure, making its stop in Eugene, is the most encyclopedic of the exhibitions collector Jordan Schnitzer has touring the country but it is the way the educational program around it presents a pantheon of worldviews and strategies that is so valuable. The list of artists tells the rest of the tale: Radcliffe Bailey, John Baldessari, Jennifer Bartlett, Robert Bechtle, Mark Bennett, Vija Celmins, Enrique Chagoya, Chuck Close, Richard Diebenkorn, Richard Estes, Joe Feddersen, Eric Fischl, Helen Frankenthaler, Ellen Gallagher, Red Grooms, Damien Hirst, Robert Indiana, Jasper Johns, Donald Judd, Alex Katz, Barbara Kruger, Sol LeWitt, Roy Lichtenstein, Hung Liu, Brice Marden, Kerry James Marshall, Sarah Morris, Judy Pfaff, Martin Puryear, Robert Rauschenberg, Edward Ruscha, Richard Serra, Roger Shimomura, Lorna Simpson, Kiki Smith, Donald Sultan, Fred Tomaselli, Kara Walker, Andy Warhol and Terry Winters. The variety of approaches in the media of printmaking gives a multifaceted opportunity to do exercise one's muscles for comparative aesthetics. 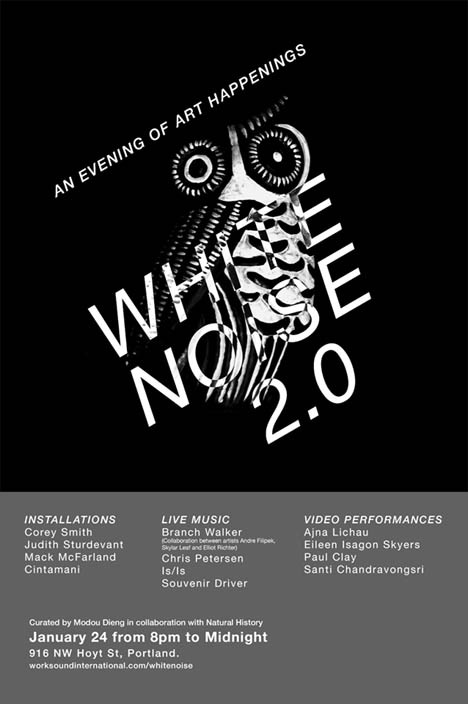 White Noise2 looks like the art part that kick off the Portland art scene's 2015. A while ago Worksound introduced the idea of a Contemprary Triennial and this fundraiser/info event should give everyone more to chew on. Installations by: Corey Smith, Judith Sturdevant, Mack McFarland and Cintamani. Video by: Ajna Lichau, Eileen Isagon Skyers, Paul Clay and Santi Chandravongsri. Brian Libby takes a look at the still not fully complete Schnitzer Center for Arty and Design, PNCA's new base of operations. The opening is just a couple of weeks away. The Prada Foundations new exhibition spaces, designed by Rem Koolhaas will display contemporary art and antiquities together. Not a new idea but considering that Prada is a tastemaker it is the details that will be worth paying attention to. Glass is the art world's "buzziest new matereial?" Yes since like 2008! Or 1908? Though I think this exhibition hit the nail on the head better, it was about glass and glass-like materials... not simply glass. The Guardian asks if art can still shock? As a Baudelairean advocate... yes of course it can. The difference is the way we process and discuss "shock" now. Look at Amy's Review of The Enclave or this interesting show full of decapitations. The problem isn't the art... its viewers who cant distinguish between empathy and sympathy which this essay discusses. Empathy involves understanding, sympathy is cheaper and more knee jerk. Sympathy doesn't last, empathy changes you and THAT is where lasting shock/changes comes from. Shock comes from understanding things from a viewpoint that you haven't considered... it is very possible but in a world that where the feedback loop caters to your already identified interests it is harder to achieve. It is why Great Art is important. It places different and inexhaustible demands upon your comprehension. When the world lost photographer, critic and theorist Allan Sekula a few years ago it was a huge loss. 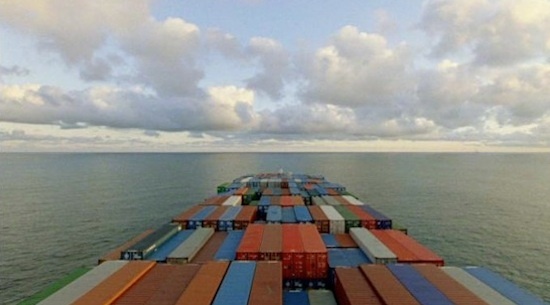 Still, his legacy of interrogating the long and isolating arms of global commerce lives on and now Portlanders finally have a chance to take in an extensive survey of his work Reinventing Documentary: The Art of Allan Sekula at the excellent Hoffman Gallery. Sekula's career spanned everything from a Guggenheim fellowship to participating in Documenta XII and was one of the cornerstone professors in Los Angeles' art scene. His presence alone at openings gave things weight, and for a flavor of what he brought to the table check out this interview in Bomb. 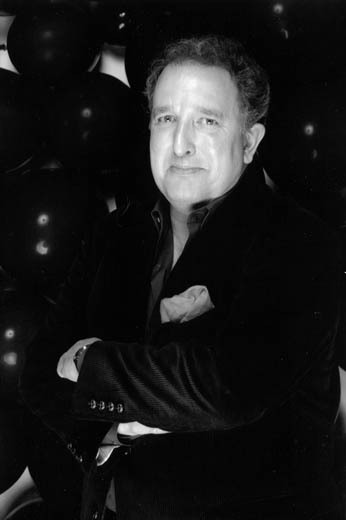 His wife Sally Stein will make some remarks at the opening. C3: Initiative presents a screening and conversation with multidisciplinary Portland-based artist Mami Takahashi and curator Kristan Kennedy. 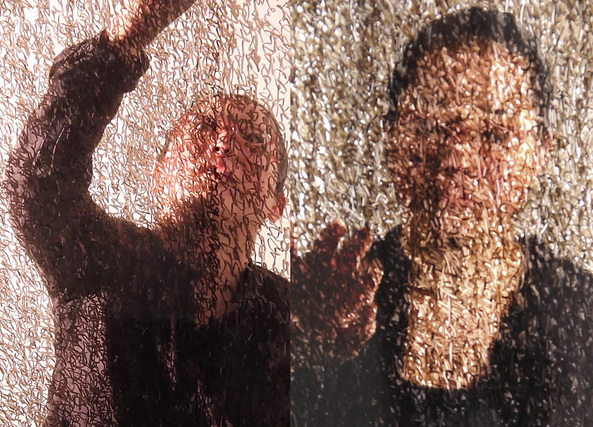 On Wednesday January 21st Takahashi will present and discuss recent video and performance work, which uses the body to explore, "cultural identities, inbetweenness, and legibility." The conversation with Kennedy will follow. Artists may soon have their use of drones regulated. There is a lot of talk about Portland's soon to be replaced airport carpet, here is a refresher course on the history behind airport carpets and their aesthetic crimes. Seattle gallerist James Harris has curated an exhibition of African photographers who explore self portraiture, culture and identity titled, Am I Not a Man and a Brother? Am I not a Woman and a Sister? 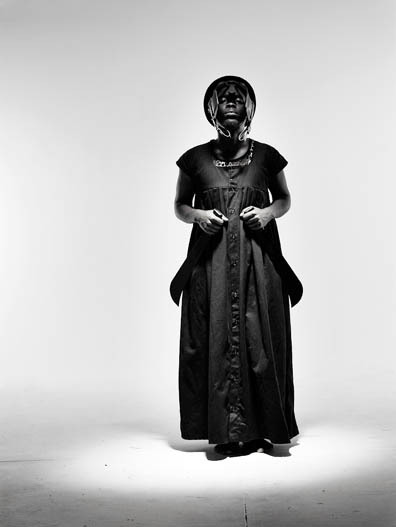 It features: Hasan and Husain Essop, Nomusa Makhubu Mohau Modisakeng, Abraham Oghobase and Adeola Olagunju with additional works by; Jodi Bieber, Kudzanai Chiurai, Frank Marshall, Ebony Patterson, Lindeka Gloria Qampi, Nontsikelelo "Lolo" Veleko, Saya Woolfaulk. Here are two articles that seem to be calling for a greater degree of critical thinking and more nuanced language in society at large. I don't think the current lack of critical thought in the art world is some outlier... it is an endemic issue for a globalized world that needs to learn how appreciate the inevitable disagreements that competing value systems inevitably create. New or at least completely recalibrated models seem inevitable. Perhaps something more supple and open to nonconformity? First is Jerry Saltz on the power of images to in incite a disproportionate response from terrorists. Jerry looks into belief systems as are espoused by religions but I think the discussion can go deeper. In a world where everyone is so connected we can devolve into cliques of group-think more easily. We can instantly find those who agree with our views and this can fester in isolation cells, which create disproportionate or non-scalar and circuitous thinking. Maybe its my Viking heritage or love of Greek and Jewish debate traditions but when someone disagrees with you publicly it is a gift. If it has some strength behind it and you are suddenly seeing red it means you've just encountered "another way" that should be considered. It takes a kind of cosmopolitan approach, which is tolerant of diverse thinking. In that way Art is an important cultural exercise or a way to agree to disagree. Often this comes in an environment of respect (gallery) and maybe even an understanding can come of it. In general, respect comes from acts of critical thinking. Dogmatists who have those knee jerk, "you insulted what I worship & there will be reprisals"... can be found everywhere, even in art scenes but criticism is a way to be tested and grow. In the past few years I've seen a call for the rare kind "supple" avenues of respect that more criticism creates. 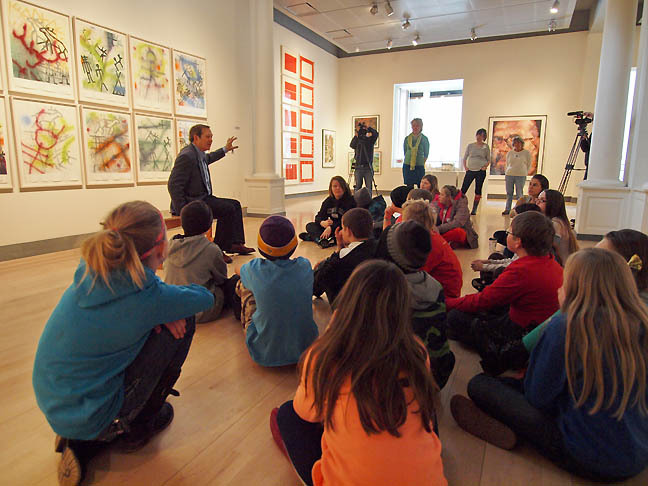 It isn't taught very much in schools anymore and most curatorial initiatives have devolved into evasive curatorial speak and practices. Those programs that risk misunderstandings in a thoughtful way are all the more important for this. 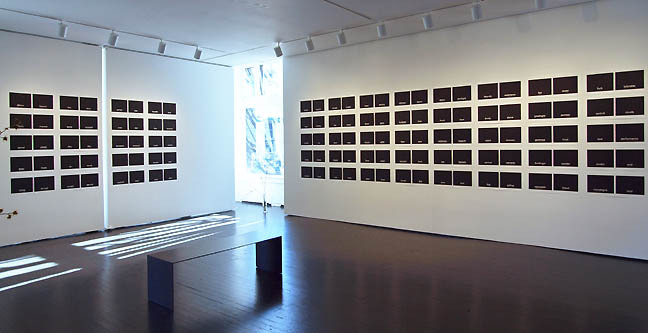 I know I picked this a while back but this time it is your last chance to say goodbye to the Feldman Gallery for good with Eva and Franco Mattes' exhibition Breaking Banality: The Dysfunction of Remediation at PNCA. The school's new 511 building should be an improvement though. 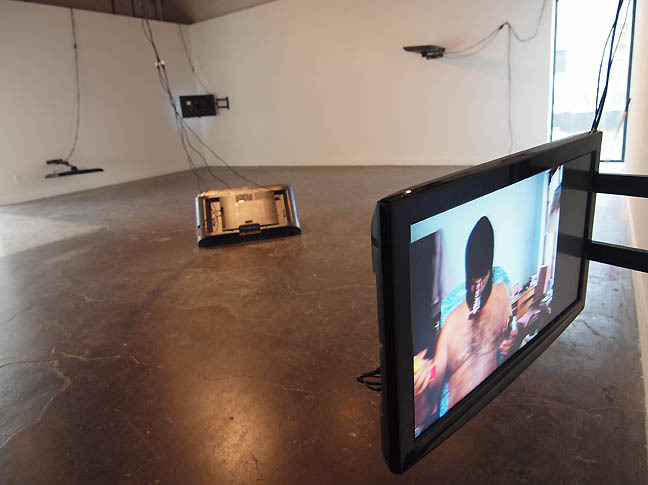 The exhibition's title was created by an online random exhibition title generator and will restage, "ten reiterations of one performance from their series 'BEFNOED - By Everyone, For No One, Every Day,' for which they commission anonymous workers to realize webcam performances." Related to Fluxus events and the general way in which instructions manage computers of all sorts it should spark further discussion of the quirk-core performances that are popular on youtube and amongst recent art school grads these days. Award winning Victoria Haven's latest exhibition, Subtitles, at PDX Contemporary is comprised of a massive array of 100 wood block prints. It should be cinematic... just without the movie and there is something about the gallery's architecture that should really work well with this refreshingly dry way to kick off the year in the Pacific Northwest. 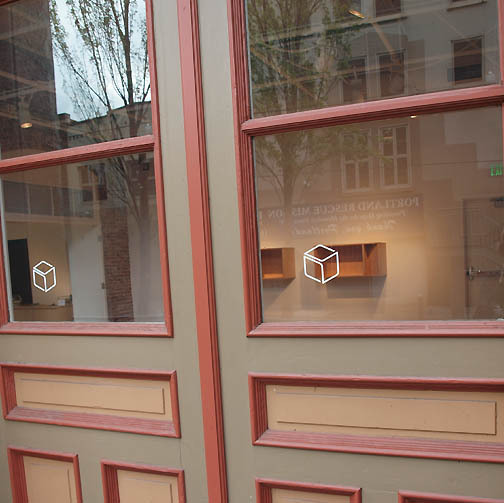 Today it was announced that longtime Linfield curator Cris Moss will be moving to downtown Portland, programming the White Box exhibition space for the University of Oregon. Cris has consistently made Linfield perhaps the most challenging univerity art space over the past decade. Shows like Suzanne Opton, Peter Campus and Wafaa Bilal certainly set the curve and were always well executed. Likewise the U of O has always been in need of a coherent exhibition program, Cris (a friend) will achieve that aim I'm sure. He wouldn't have moved unless it were an opportunity where he was set to kick things up a notch. The move also signals how institutionally the Portland area is formalizing its commitment to contemporary art. Congrats, the young curators who revolutionized Portland's art scene in group warehouse shows 15 years ago are driving things these days.